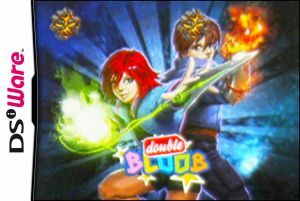 For those who aren't aware, Double Bloob was actually announced over four years ago as a DS retail title. After disappearing for a few of those years, the game has now resurfaced on DSiWare. It'd be easy to assume that those four years of development time were used to make sure that the game was polished and enjoyable. That assumption would be dead wrong. Double Bloob allows you to..